Author: John E. Dawson and revised by Thomas J.K. Strang. 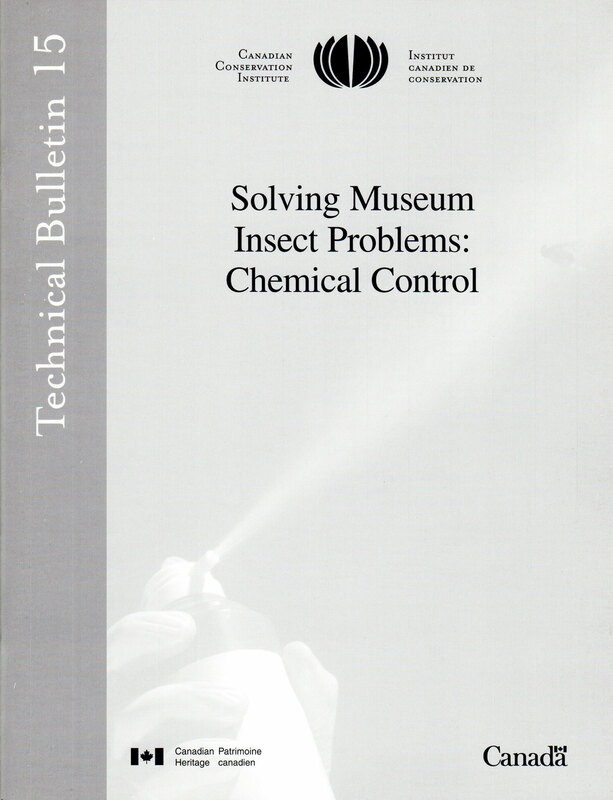 Intended to help museum staff understand commercial pest control operations. It describes chemical methods of controlling insects, and includes information on regulations, modes of action, and application methods necessary for the safe use of insecticides. A detailed guide helps in decision-making about the appropriate chemical method of control.